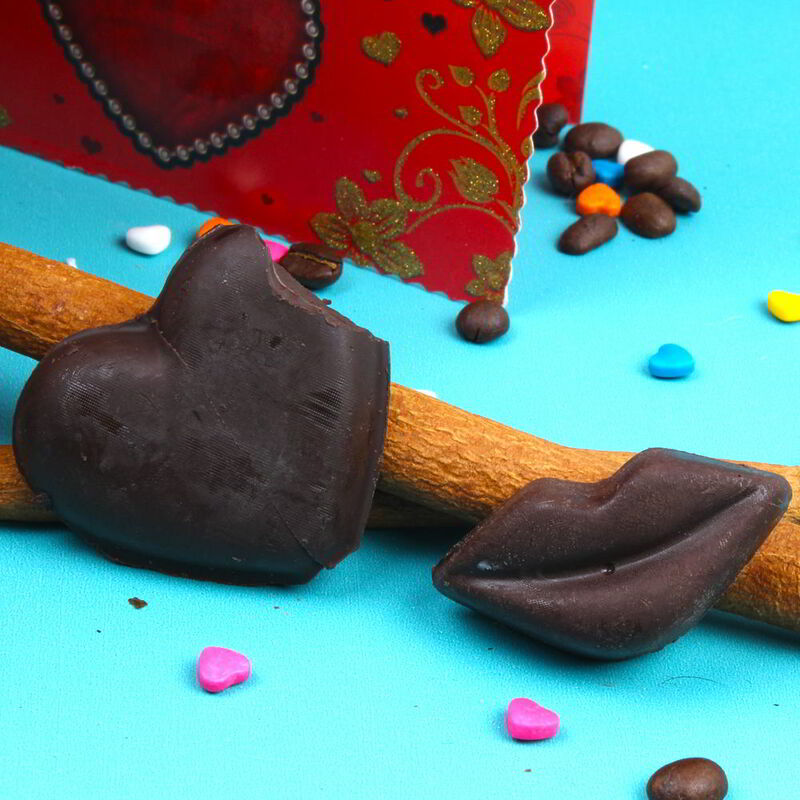 Gift your Girl friend this amazing combo has a heart shapes chocolate and lip shaped chocolates. 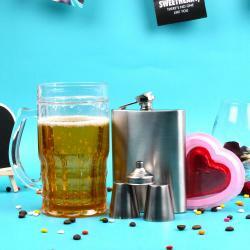 This combo will be a treat for the Valentines Day which will convey your message to her that what she means to you. 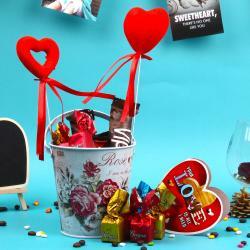 The heart shape Chocolates and lip shapes are packed well in a jute Bag which is comes with Exclusive Basket. 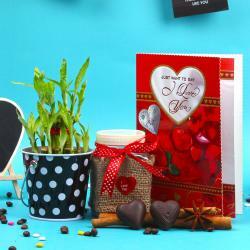 This hamper also includes one love greeting card which consists romantic message in it and it will definitely express your deep heart love. 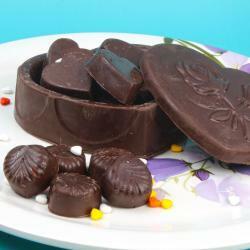 This gift will bring sweetness to your life and relationship will make it strong. 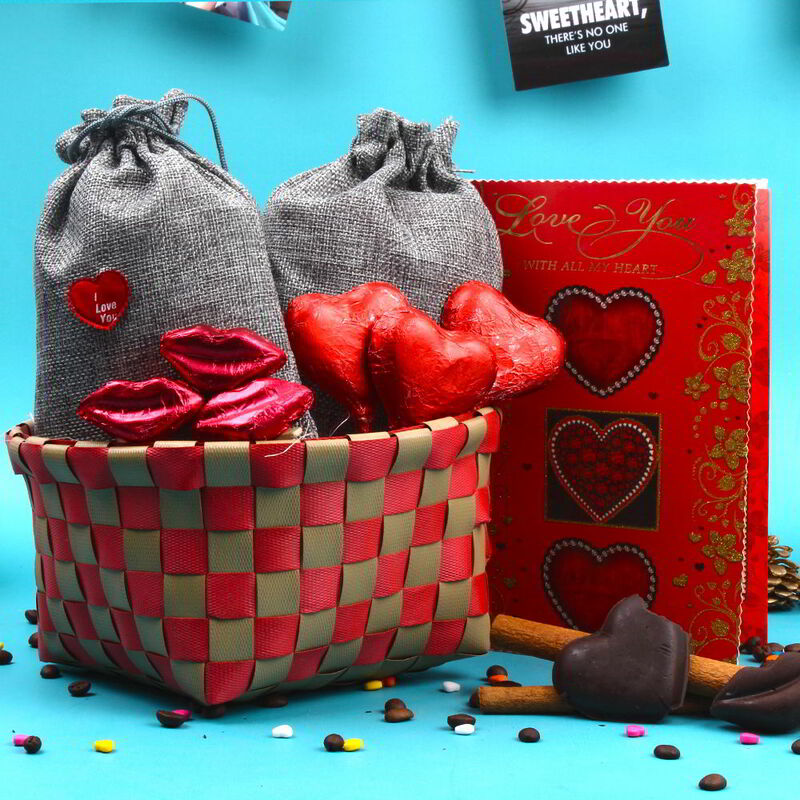 Product Includes: Lip Shape Chocolates in Jute Bag (Weight: 200 Gms) and Heart Shape Chocolates Jute Bag (Weight: 200 Gms) in Exclusive Basket along with Love Greeting Card (Note: Basket may Vary as per availability).